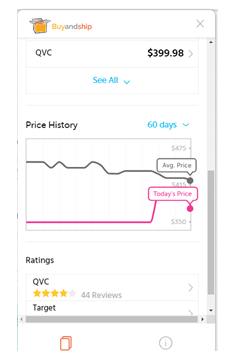 Buyandship is always looking for ways for you to be a smarter shopper, and we trust that the latest addition to our repertoire will spark joy to you and your bank balance! 2. Click on the “Add to Chrome Button”, which will lead you to the page of our Chrome Extension. 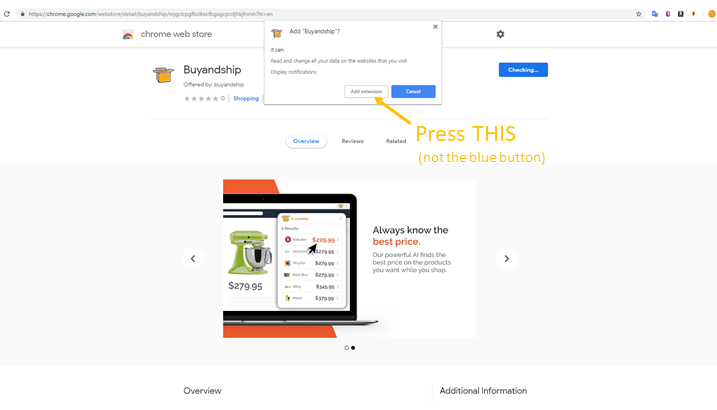 Continue to click on the “Add to Chrome” button, which will prompt a popup where you will be able to click on the the “Add Extension” to your Chrome button. 3. 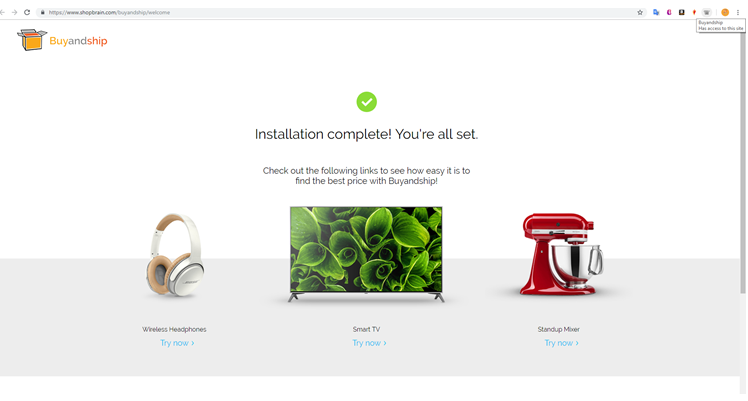 Once installation is complete, you will see a little grey box on the top right corner of your browser. 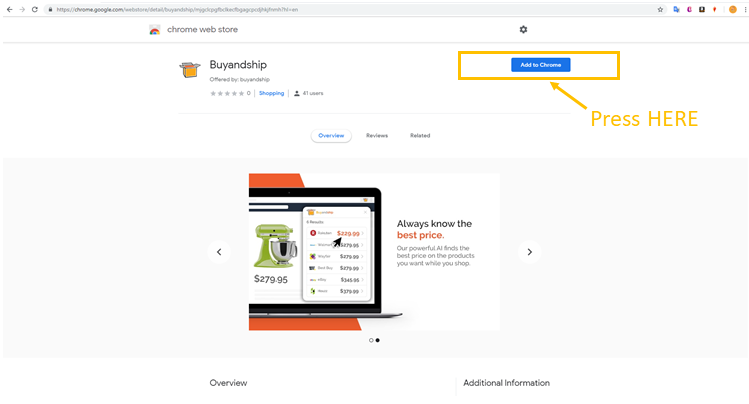 This means that the BuyandShip app is downloaded but is currently inactive. 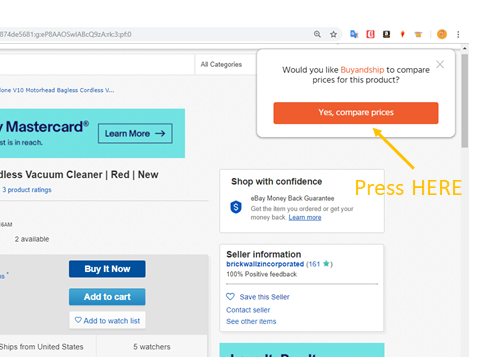 Once you press on the orange button, it will scour the internet for the item that you are trying to purchase, it’s prices on other sites, as well as the historical prices and the ratings that has been given. 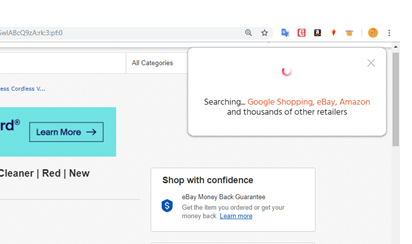 With this extension, you can be rest assured that you will be paying the best price on the internet, and the best shipping price with us here! 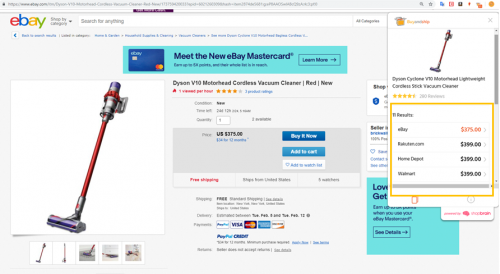 Your shopping is well taken care of with us at BuyandShip!